JSH JY-SHYONG ENTERPRISE CO., LTD. Plastic level handle W/goose neck tubular spout. pull-out spray spout.Fits all 3-hole sinks. Size 8" brass body chrome plated w/c.p. 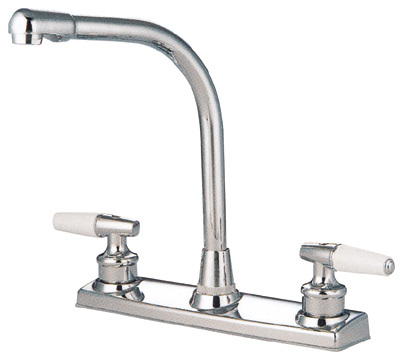 zinc handle,W/spray c.p square brass tubular spout. Fits all 4-hole sinks. w/c.p zinc curved handle, W/325 tubular high spout.